Precinct Reorganization meetings of a party are where executive committeemen and other local officers are elected to represent their neighbors within their party within each precinct. They occur bi-annually. These “reorgs” as they’re called, are where the party leaders at the county level are elected for the next 2 years. Why is it that the office of executive committeeman (“EC”) has been called “the most powerful office in the land?” You might remember that our Constitution identified “We the People” as the most powerful sovereign entity in these United States. Until that moment in history, power originated from a King. Written edicts from a ruler would begin with the name of the King written in calligraphy identifying him as the source of the declaration. 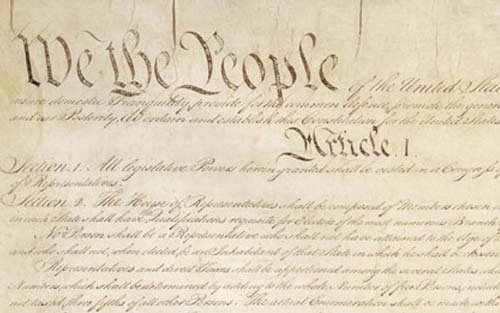 Our founders put “We the People” in similar ornate script to symbolize this radical shift in political structure. The people became King. As such, “We the People” is where power originates and flows to other entities, such as the States and Congress. But because the EC is the closest structured political officeholder to the registered voter (or “We the People”) they are next in line for this power, even before the State or Congress. Even so, the average registered voter has no vote in internal party policy, but an executive committeeman does. An EC elects district, county and state party officers, delegates to the State convention and national party members. ECs attending the State convention vote on the “planks” in the party platform: the party principles that are advanced over the next two years. Additionally, ECs interact with their elected party officials to influence legislation every month. Principled local party leaders endorse and influence Liberty and Constitutional-minded Congressmen. They can change a nation. It is at the precinct organizational meeting that inadequate party leaders can be removed and replaced with individuals like you, who understand their duty to represent the concerns and opinions of their neighbors and participate in a true representative democracy (a Republic) as described by our Constitution. The Charleston County GOP, for example, held their bi-annual county precinct re-organization in March 2013. Despite this, over 60 precincts in the County of Charleston remain unorganized; there is no executive committeeman representing these areas. The weakness of the GOP is evidenced by this same absence of representation in other counties nationwide. Since current quorums within recent meetings seldom exceed 80 votes in large counties, filling these seats with like minded voting members would certainly ensure landslide victories. YOU CAN BECOME A COUNTY EXECUTIVE COMMITTEEMAN IN THE CHARLESTON GOP WITH VOTING PRIVILEGES IN AS LITTLE AS TWO WEEKS if you live in certain precincts. This is really a precious opportunity for YOU and your country, because some precincts never turn over their executive committeeman to just anyone. But because of where you live, you need only ask for it. Other parties are not quite so weak, but would be influenced by participation of Liberty minded citizens at the executive committeeman level. It is up to us to wrest control from these parties by competing for committeeman positions and winning them. Concerned Americans need to run for Executive Committeeman in their own neighborhood precinct. 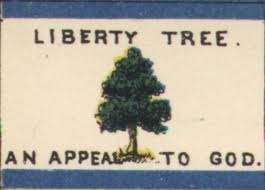 The Liberty Tree Precinct Project’s goal is to put you in touch with like-minded individuals who can guide you with your effort to become an executive committeeman and functional reformer of your party. We are creating a network of Liberty-minded individuals who can take back our country and restore the Republic as it was designed to function. Our network is growing. Our strategy is working in Charleston. We’d like you to repeat our model in your own county. We are not asking for money. We need something more valuable: your time; your involvement; your integrity.